The lemon tree in our backyard has become a main source of our salad dressings. Especially now that our firstborn announced that she wouldn’t put vinegar in her mouth anymore. Luckily there’s no need to that. Lemon is tastier option for most of the salad dressings. This salad was prepared on our previously published cooking video and served together with Pasta Alfredo. use a drop of mild dishwashing detergent. Use a grater to grate a teaspoonful of yellow zest. cut the lemon to wedges. add chopped garlic and grated lemon zest. the sous chef stirs it with spoon. Chop the scallions or chives with a knife and add to the vinaigrette. Add 0,5 tsp salt and ground black pepper. Stir the lemon vinaigrette with a fork or spoon.Tip: Try to prepare a vinaigrette in small glass can with a lid. You may use olive can or baby food can if they are cleaned. 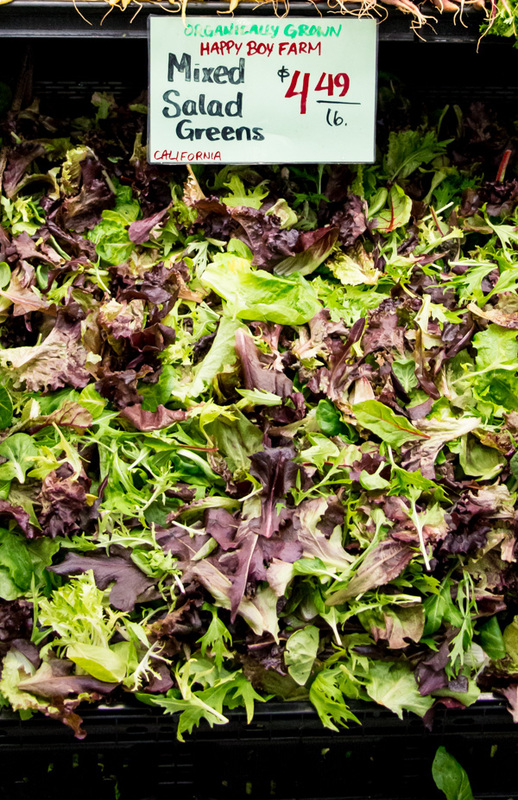 Tear the lettuce or green leaves to edible size pieces. If you use fresh spinach remove the hard stems. Lift the bowl to a sink and pour cold water over the leaves. Rinse them in the water and lift them to the colander and let drain. Wash and cut half the cherry tomatoes. Wash cucumber and cut it lengthways to strips. Help the sous chef to finish the lettuce job. Cut the cucumber strips to short pieces with a cutlery knife. Peel the carrots and using a peeler cut them to thin slices. Chop the kalamata olives and remove the seeds if necessary. Combine the salad ingredients just before serving. the adult adds the cucumber, tomatoes, olives and lemon vinaigrette.